1. Sending you SMILES for every moment of your special day! Have a wonderful time & a very Happy Birthday! 2. Hope your special day brings you all that your heart desires! Here's wishing you a day full of pleasant surprises! 4. Its a nice feeling when you know that someone likes you but it feels much better when you know that someone never ever forgets your birthday. 5. Lovely message for a lovely person in a lovely style to wish you have a lovely birthday! 6. Thinking of you and the good times we spent make me smile! Happy Birthday Dear! 7. Happy birthday to a friend who is always close to my heart. Celebrating your special day with you. But I want you to know that I'm thinking of you & wishing you a wonderful birthday! 8. I am dancing and singing on your birthday! Only that you cant see me! 9. Wish I was celebrating with you. Because today is your day, Its an opportunity for you to know that your special and special things are for you today. May life lead you to great happiness, Success and hope that all your wishes comes true! 10. Fly in the plane of ambition, and land on the airport of success, May your future always shine...With lots of love. Happy Birthday to you! 11. It must have been a rainy day, When you were born, But it wasn't really rain, The sky was crying because It lost his most beautiful angel...Happy Birthday Dear Friend! 12. In soft gleaming of stars, May all your dreams come true, May every star of every night bring love and joy to you... Happy Birthday! 13. I have the perfect gift for you, A gift that’s guaranteed to get you through thick or thin, Feast or famine, Sink or swim and all or nothing Happy Birthday! 14. The best birthday wish that you can get for the day is that may you live each moment of your life to the very fullest, without any regrets. Happy Birthday! 16. Wishing a happy birthday to my amazing brother. I hope all your dreams will come true very soon. 17. I’m sending this birthday message to the best-looking and extraordinary sister in the world. Love you so much. 18. There might be thousands of sisters in this world, but to me you are the best, without any doubt. Happy Birthday. 19. I’m so lucky that I have such a beautiful and precious relationship with my loving and wonderful friend. Happy Birthday. 20. Sis, we are a great pair because we always look gorgeous in our photos! Happy Birthday. 21. Every morning when I wake up, I always thank you. You are the one who loves me unconditionally. You are always my lovely mom, wishing you a happy birthday. 22. Mom, you are my angel. My heartfelt greetings to you on this special day. Happy Birthday. 23. Have a wonderful birthday. I wish your every day to be filled with lots of love, laughter, happiness and the warmth of sunshine. I'm dancing and singing on your birthday! Only that you cant see me! May each hour and minute be filled with delight and your birthday be perfect for you! May life lead you to great happiness, success and hope that all your wishes comes true! 50. Here's wishing a Happy Birthday to the most charming, funny, attractive and rocking personality in town. Have a great day. 51. Happy Birthday to my sister! I hope you have the best birthday of all time for the best girl of all time. Something like that! 53. A mother holds her children hands for a short while, but their hearts forever. Happy birthday Mom! 54. May all happiness come true in all your rest life. many many happy return of the day Happy birthday bro. 55. Happy birthday brother,wishing you a day filled with happiness, and a year filled with joy. 56. I am blessed to have a brother like you, my constant energy but always there to make my day, happy birthday bro. 57. On your special day today I wish and pray, may you get the hole happiness Happy birthday brother. 60. Happy birthday to my amazing, beautiful and fabulous best friend. You are the most gifted person on this earth, happy birthday my best friend. 61. Your birthday has already passed but hoping its was simply on the best, many many happy return of the day happy birthday friend. 62. Just wanted to wish a little sunshine back in the heart of someone, How gives it always all year long. Happy Birthday! 63. May your day with the filled with the warm sunshine of love, and the bright colour of laughter. 65. I am blessed to have a brother like you, my constant energy but always there to make my day, happy birthday bro. 66. On your special day today i wish and pray, may you get the hole happiness Happy birthday brother. 69. Happy birthday to my amazing, beautiful and fabulous best friend. You are the most gifted person on this earth, happy birthday my best friend. 70. Your birthday has already passed but hoping its was simply on the best, many many happy return of the day happy birthday friend. 71. Just wanted to wish a little sunshine back in the heart of someone, How gives it always all year long. Happy birthday! 72. May your day with the filled with the warm sunshine of love, and the bright colour of laughter. 74. When I think of my favorite foods, I can never make up my mind. But when I think of my favorite people, I immediately know that means YOU! Happy Birthday! 75. Finding a great friend is like looking for a four leaf clover. But I did get lucky! Happy Bday! May beauty and happiness surround you today and beyond. 76. Believing hear, what you deserve to hear: Your birthday as my own to me is dear...But yours gives most, for mine did only lend Me to the world, yours gave to me a friend. 77. There are two bright stars in the sky today, one is the Star of God and one is you! I hope you keep shining bright for the rest of your life. Happy Birthday! 78. The world changed forever the day you were born. As your best friend, I'm glad that day happened. Happy Birthday, my friend! Live long and prosper! 79. May your birthday be the window which opens A million vistas that help you in the fulfillment of Ur dream and accomplishment of your goals... Happy Birthday! 81. Thinking of you and the good times we spent make me smile! Happy birthday to a friend who is always close to my heart. 83. LIKE A FRESH DEWDROPS of a new day... May GOD'S loving you hands be upon you today to freshen your soul and body. Happy Birthday! 84. Its another birthday for you.God picked another petals on your flower,wishing your flowers may bloom for year. MANY more happy return's of the day. 85. Happy Birthday to the MOST WONDERFUL, AWESOME, BEAUTIFUL, COURAGEOUS and GREAT FRIEND you are... Have an awesome Birthday! 86. Birthdays are best celebrated with lots of chocolates, wine, friends and close ones. May you have a great Birthday. Don't forget to invite me! 87. Our friendship is made of gold and it will never rust, will stay precious until the world turns to dust. Happy Birthday and may your every wish come true! 88. May you be gifted with life's biggest joys and never-ending bliss. After all, you yourself are a gift to earth, so you deserve the best. Happy Birthday. 89. No matter where life takes us, no matter how far we are from each other, the memories of our friendship will remain in my heart forever. Happy Birthday! 90. Moments of joy you've given me are pearls of my life's garland, You've made things so beautiful... Happy Birthday! 91. God bless this special best friend of mine with all happiness and accomplishment in life. I'm truly blessed to have yo as my best est buddy. 92. Birthdays used to be almost sacred... now its a simple status update and people only react according, not personally. 93. I may not celebrating your special day with you but i want you to know that i am thinking of you and happy birthday. 94. 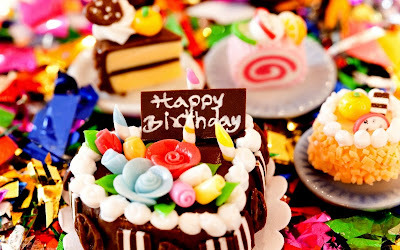 Hope your birthday blossoms into lots of dreams come true!May today be filled with laughter and love happy birthday. 95. A birthday is just the first day of another 365 days journey around the sun.Enjoy the trip, Happy Birthday. 96. Happy Birthday to you. may you have many more. you have been a great friend to me. i have a little wish, may we be friends, till the world ends. 97. Happy, Happy Birthday! I hope the day has been blessed with the presence of those you love most, and many magical moments! 98. Happy Birthday. Wishing you more glorious and wonderful years on the surface of the earth – or wherever you might be. 99. On your Birthday, all I want to tell you is that you should be regret-free and disease-free! Wishing you a Happy Birthday. 100. Happy birthday to the most sweetest and sugary person I know, Have an awesome day ahead and stay blessed, Happy birthday!